Are you finding it a challenge to start having a conversation with your child about the importance of staying safe online? Have a read of our simple tips to help you get started! Open Communication is the key: The most effective tool you have as a parent is communication! By having an open communication style with your children, on a range of topics including staying safe online, your kids are sure feel secure in knowing that they will be able to talk to you openly about what they are experiencing when they are online. Children can often fear the negative repercussions of being open about what they are doing when they are online. If they know that they can approach you and openly share their feelings, thoughts and experiences that is a great springboard for their future online safety. Remember to actively mediate with your child: At Zeeko we promote active mediation when it comes to communicating with a child about their use of the internet. Active mediation essentially means ensuring that your child knows it is ok to come to you to talk about what they are experiencing online, without fear that they will be punished. Active mediation is particularly important when it comes to the use of the internet because children and indeed teens can encounter situations such as witnessing a cyberbullying incident while online and will need to feel secure in being able to discuss this with you without fear of sanction. Try not to confiscate: Parents can often confiscate or ban the use of digital devices as a form of punishment. This is rarely, if ever, effective and in some cases can lead to children using digital devices in other people’s homes or borrowing smartphones from friends to access the internet. It is human nature that if something is banned, it becomes more intriguing! Encourage and promote a healthy online/offline balance: Ultimately children learn through observation. If you want your child to have a healthy relationship with the digital world then you will need to be a good role model. 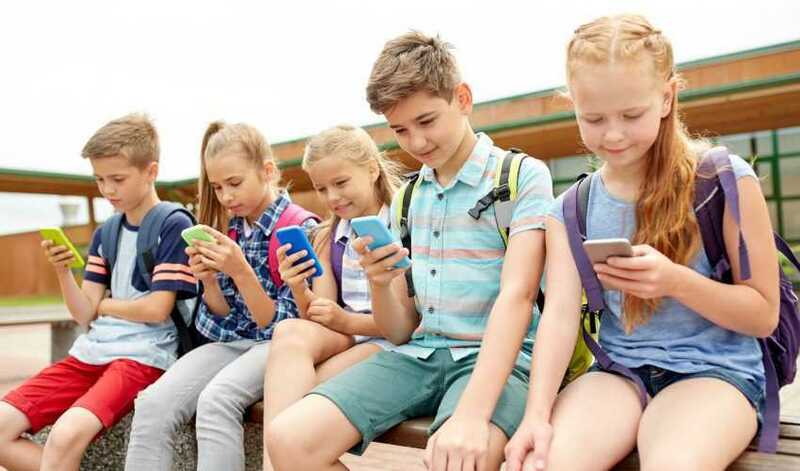 For example, where screentime is concerned, if you are constantly on a digital device or regularly on screens late at night then it is highly likely that your child will see this as normal and model this behaviour. In a broader sense make sure to regularly engage in family activities that do not include digital devices. Remind your child of the importance of communicating face to face with friends and relatives as opposed to doing so online. Make staying safe online a regular conversation: At Zeeko we want to make talking about staying safe online an integral part of every Irish school and home. Reminding your child about the importance of protecting themselves when they are online is so important. If conversations are regular and open in relation to online safety this is bound to build confidence and better equip your child for challenges they may encounter in the digital world. Hope these tips help you start a conversation and keep it going! Creating a Digital Contract with Kids: All You Need to Know!